For starters, the new line offers a lot of options. 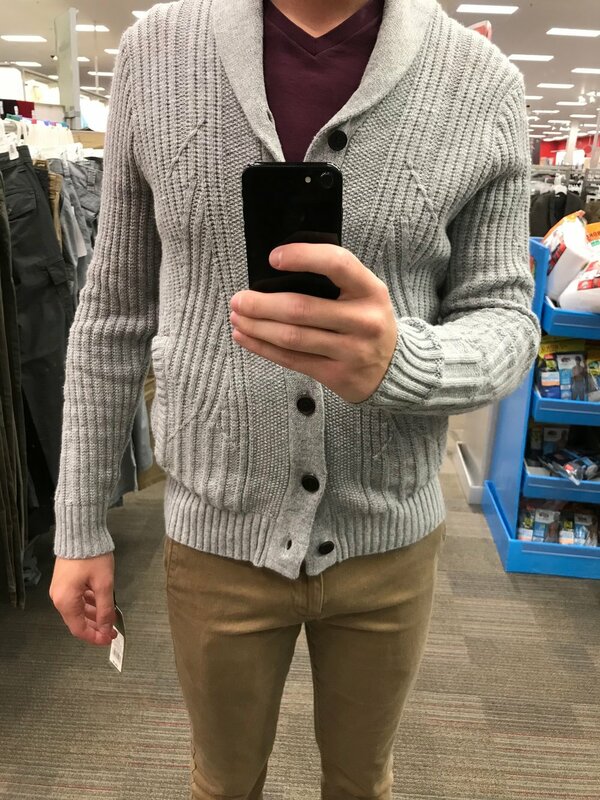 Almost the entire men's section at Target is now Goodfellow & Co. The sizing is pretty sparse, and not everything is available in every size, though. This is either because things are selling out that quickly (not sure this is the reason), or because Target just has not gotten everything in yet (more likely). Either way, it's an issue that should be resolved with some time. I should take this time to note that I am about 6 foot 1, 165 lbs., and usually wear a size small. 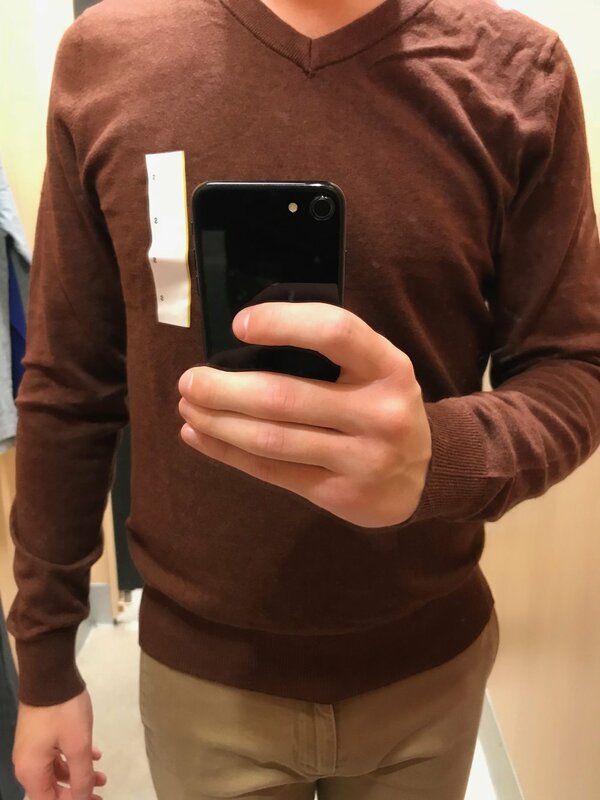 It's labeled as a Standard fit and it is. I'm a slim guy and so this thing was too big on me. The material was also rather scratchy and uncomfortable. As far as looks go, though, it's quite nice. And also comes in a green. Once again, it's standard fit, and that really shows in the sleeves which are much too big on me here. The waist is mostly fine, but the rounded pattern is a bit strange. Also available in black. Comes in a bunch of other colors, but no slim fit. Bit too much room in the whole body of this thing. This is actually pretty nice. 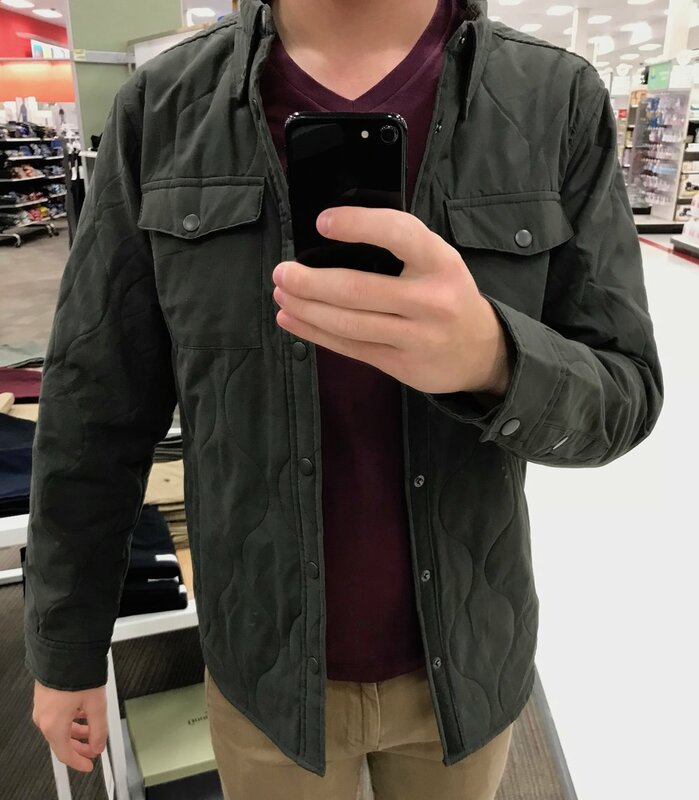 It's a bit long (something that Target seems to have a real problem with, as we shall see), and the collar is super floppy, but it's not half-bad. 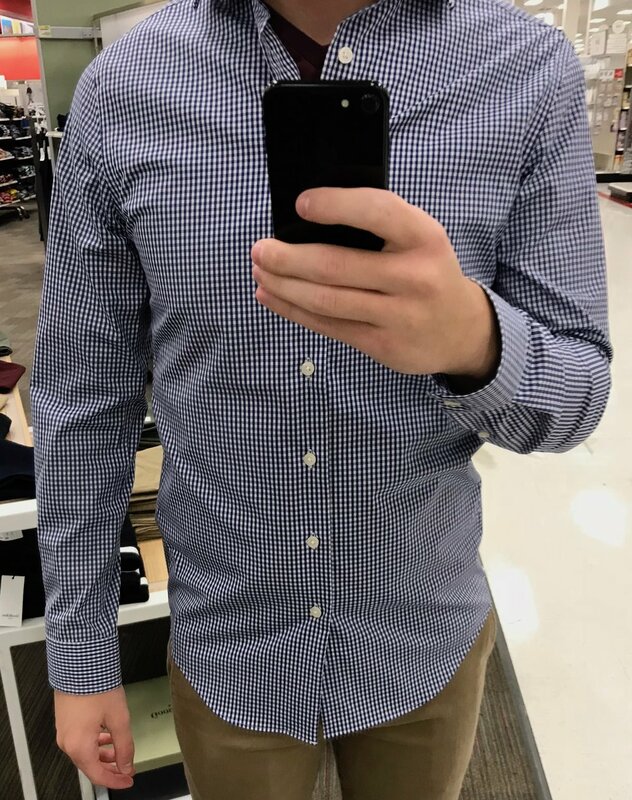 Target seems to be offering both dress shirts as well as more casual shirts (the latter with a button-down collar and more color and patterns, as well as more casual fabrics). Both kinds of these shirts come in a Standard and Slim fit option (as well as Big & Tall). As you can see above, the Slim fit shirt actually fits quite nicely, and is a true slim. The sleeves are trim, and the armhole is pretty raised. The body, chest, and waist of the shirt is also nicely slim, and the tail is elongated to help it stay tucked-in all day. As far as a dress shirt goes, it's not bad at all (and even has some stretch to it). However, when you can get, say, Charles Tyrwhitt shirts on sale for the same price, this is a hard purchase to justify as, while the quality is solid, it's not anywhere near as good. At a few bucks cheaper than the proper dress shirts, the oxford shirts are slightly more reasonable. Quality is pretty solid, likely comparable to Gap sometimes. The makeup is 100% cotton. The style and color is nice as well. What is confusing is the fit. 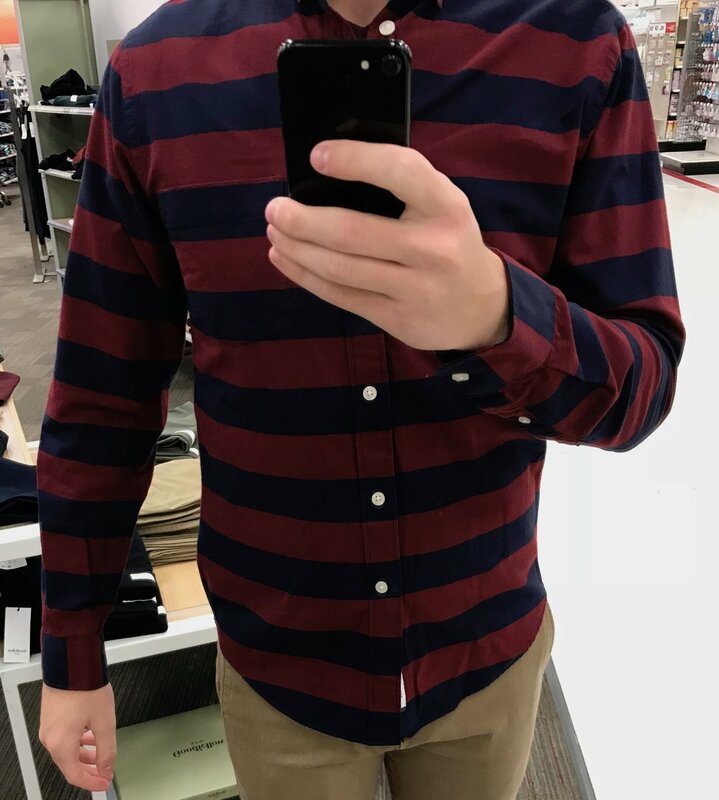 It's a casual shirt, and a Standard fit, but it fits almost exactly the same way as the Slim dress shirt did. And here is where things really become problematic: I tried on a number of allegedly Standard fit casual shirts and they all fit somewhat differently. The flannel fit slimmer than the denim shirt, which was looser than the oxford shirt. There was no rhyme or reason to it, which leads me to conclude it's merely a result of cheaper manufacturing. 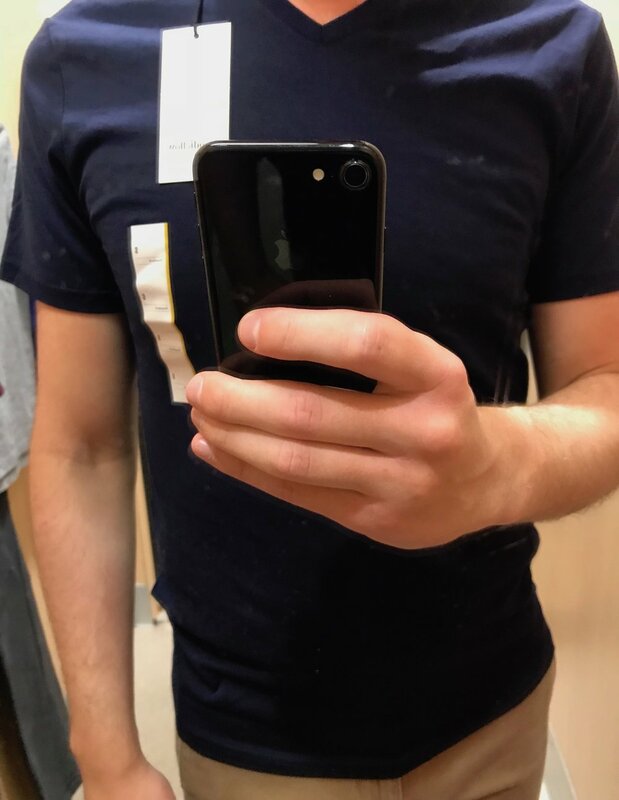 I really wanted to see what a Slim fit casual shirt would look like, but they had none in the store. 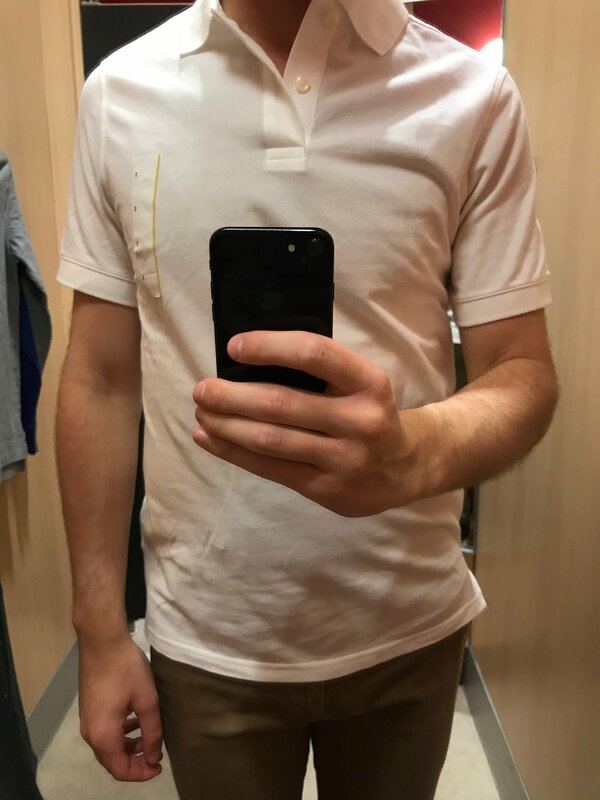 Needless to say, while at least some of their shirts are bound to fit you, it's the sort of thing you really need to go in to the store to try and see for yourself. This is not the sort of thing you can order with any reliability online, unfortunately. The feel of the fabric on this is really quite nice, and has a bit of stretch to it, which is impressive as it's 100% cotton. The fit is a bit tight in the armpit, though, and a touch loose in the bicep for me. At this price, or similar, I prefer Uniqlo tees. The price-point on these things is perfect. The quality of the fabric is good. The collar is thick, as are the buttons. The whole thing feels very substantial. The problem? The fit. Everything about this is weird. The biceps are much too large, and come down too far, and the collar seems too big, even, for the polo. This is only one of their polo offerings, though, and so here is to hoping that the Slim options are better. They had none in the store when I was there, though, so a review of those will have to wait for another time. I sure hope they can replace the excellent Target polos of old, because these certainly don't. A truly classic piece, and an essential in any man's wardrobe, and Target executed well here. It's all exactly the same story as with the tweed blazer above, but this one is 97% cotton and 3% spandex. 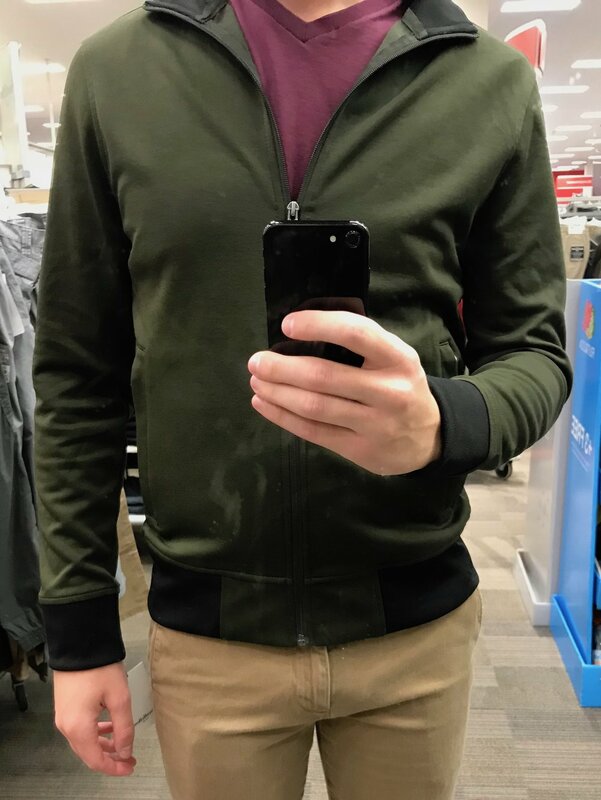 The fit on this is pretty good — not too long, nor too short, a common problem for sweaters like this. The sleeves are a bit tight, which often causes strange bunching by the elbows on thicker knits like this sweater. It feels pretty soft, and will probably last a decent amount of time. I still think it's a bit overpriced, though, when you can get much higher quality from, say, Banana Republic or J Crew during a good sale. These are really actually quite nice. 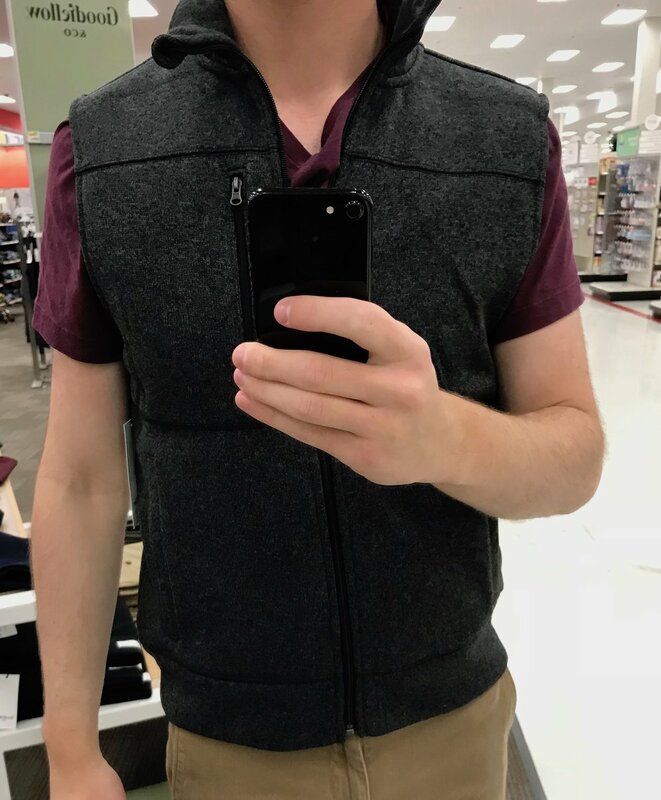 The fit is just about perfect, and fits extremely similarly to how a Banana Republic Standard fit sweater would fit. It could stand to come in a bit at the sides, but it's really pretty solid overall. 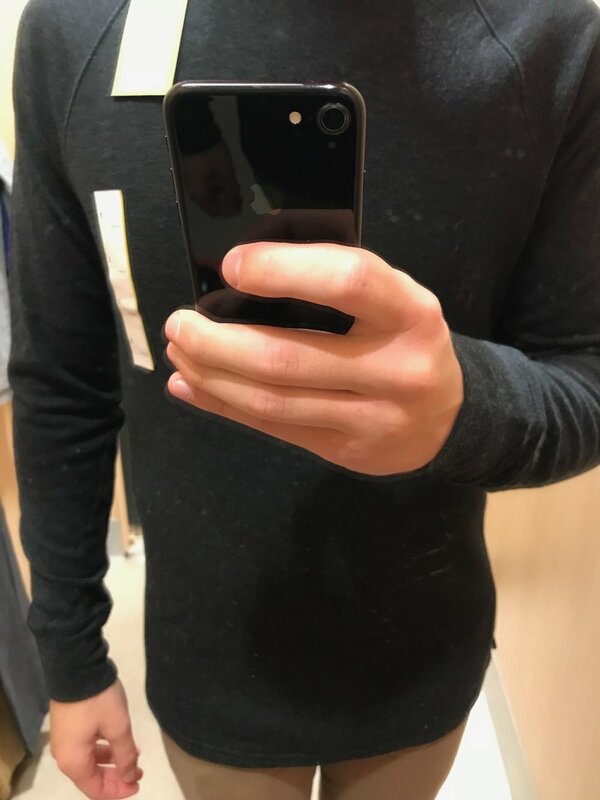 The sleeves fit perfectly, I would say. The makeup is 80% cotton, 15% nylon, and 5% wool. Not amazing, not terrible for the price. While this skinny fit tapers more on the bottom like I wanted, the thighs are practically glued on at this point. 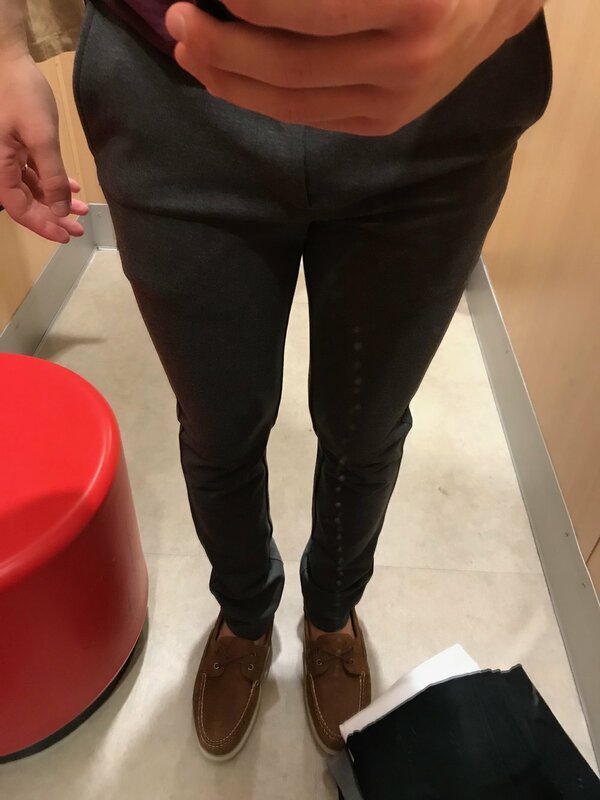 If you like the J Crew 484 fit like I do (which seems to sit right between Target's Skinny and Slim), Target is not going to be where you will get your chinos. Even with the nice amount of stretch to these, they are just not my chino. That being said, they feel very nice, and they are a true skinny fit, and the price is right. There's nothing inherently wrong with them — they just don't quite fit me. Target had no jeans in my size when I was there, so I was not able to try them on. However, they are offered in all the same fits as the chinos (not all jeans come in all fits, but there are still numerous fits in their denim). The selvedge denim looks nice, as you can see above, and the flex denim felt really good (I tried on a pair a few sizes too big), though is not made up of the best material. For the cheaper pairs of denim here, if they fit, they are surely worth it. For the selvedge, you'd probably do better elsewhere for a few dollars more. Stay away from the shoes, big time. They don't resemble leather in any way, and even the treads on the bottom of the above pair of boots, for instance, feel and look terrible. 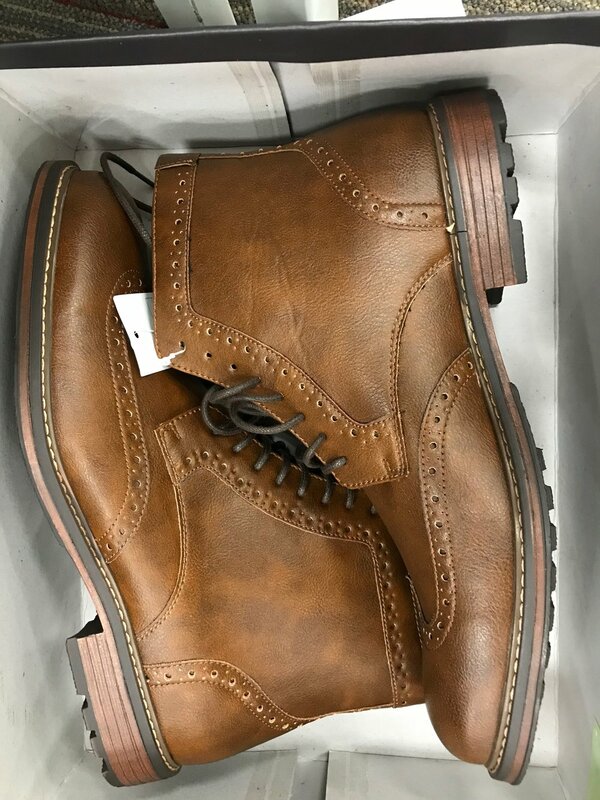 If a truly quality pair of shoes at this price point sounds too good to be true, that's because it is. What you can do for regular clothing like shirts, sweaters, and tees, cannot be done quite the same way for shoes. It's as simple as that. 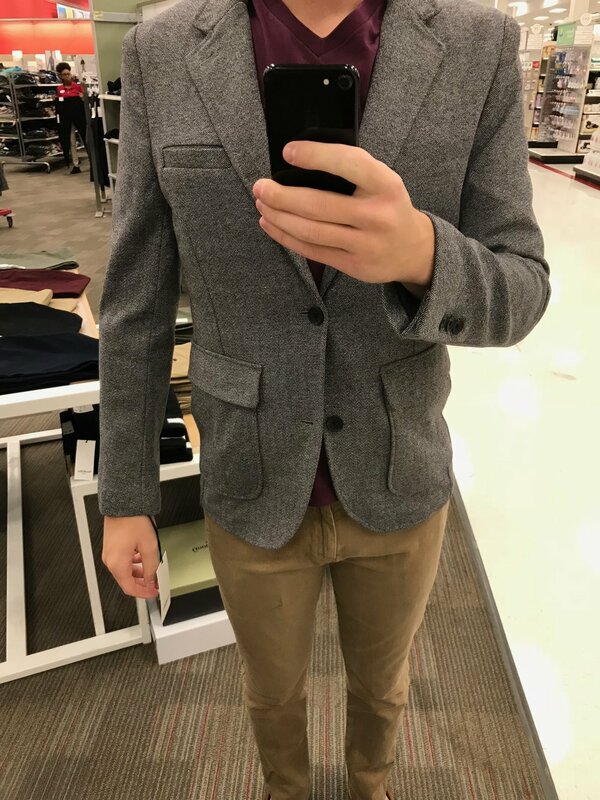 These jackets fit terribly. They are too short in the sleeves and body, and incredibly baggy in the sleeves and back as well. Skip 'em. These look and feel so good it is such a pity that they are so comically and absurdly long. 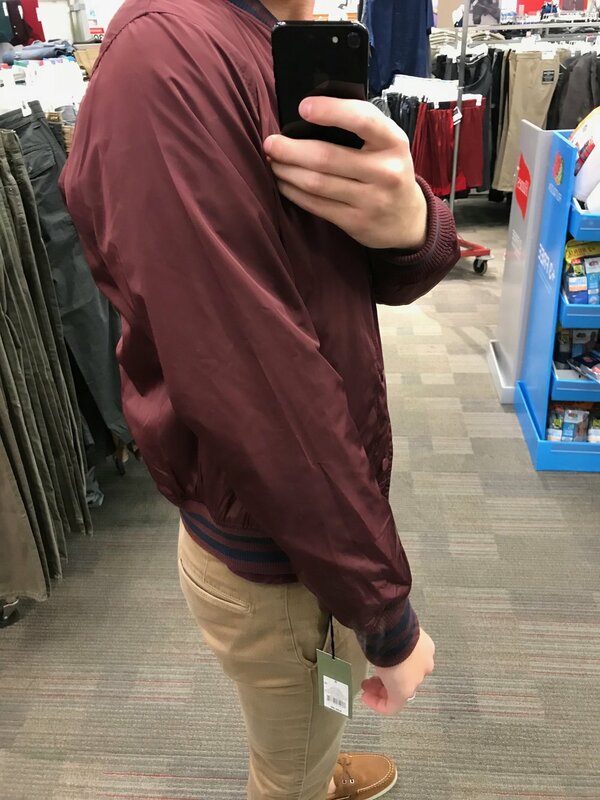 What the heck happened here, Target? 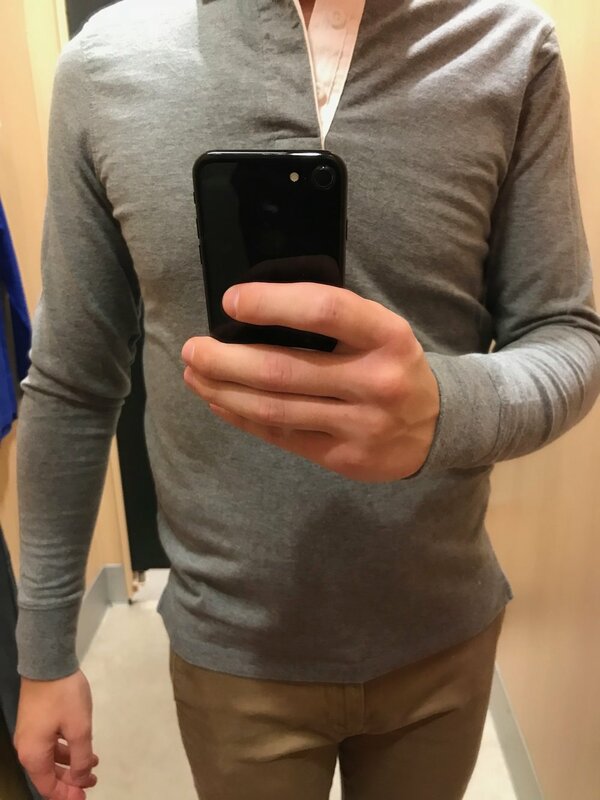 The fit of these henleys is just all around odd. It's far too tight across the chest, and then too loose in the waist. And... they're too long. They were hard to get on and off, even. 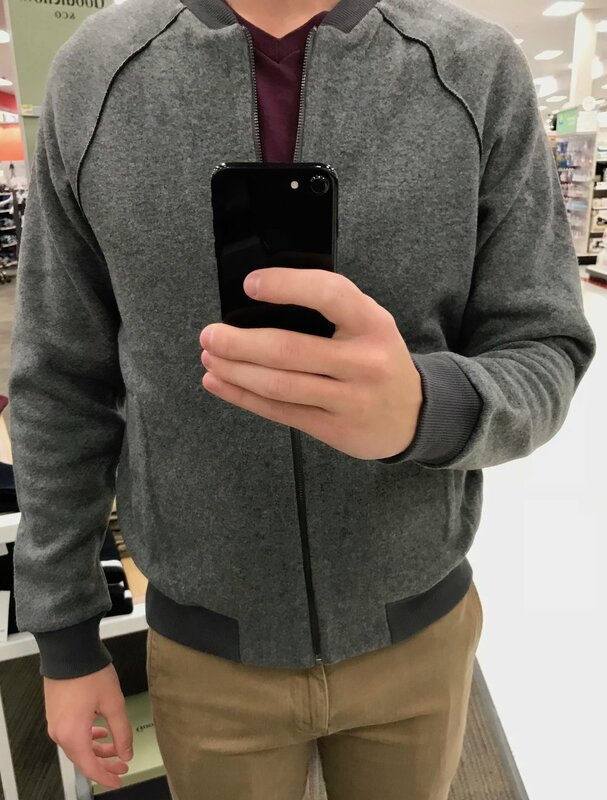 These are nothing like the old henleys that used to be so great at Target. They're thicker, and nicer quality, sure, but they fit horribly. Once again, I have no idea what the heck happened with these. They look and feel good, but the fit is just horrendous. These things are skin-tight. Unwearable. I would have bought multiple colors of this item if they had fit. But they don't. So, pass. These pants were a total surprise. I saw them on the rack and did not know what to expect. What they are, though, are some incredibly fitting and feeling pants. These things look just like dress pants, but feel better than any sweatpants you've worn. To heck with those $150 Lu Lu Lemon pants people seem to be into these days, these things are fantastic. They come in black, also, and I might just have to get myself a pair — especially at the ridiculous price (which is likely possible due to their makeup). They do run a bit long, but, again, nothing a tailor can't fix. The Goodfellow & Co. line offers a whole array of other products, too, like socks (which come in multiple sizes!, though are made up of no cotton nor wool), hats, boxers, as well as zip-up and pullover hoodies. They also seem to have some great-looking sweatpants and even pajama pants that I did not have a chance to give a test run. Needless to say, there is a lot here, and it's more than worth your time to stop by your local Target to take a look. In all honesty, it'll be pretty hard to shop these items online, but if you head out to a physical store, I'd be surprised if you left empty-handed. So, of all the items above, what did I actually walk away with purchasing today? Just those knit pants, in the end. Everything else, for one reason or another, was just not for me. The real bummer here is that just about any item that was “Okay” or “Bad” only fell into those categories due to the fit. The quality, styling, and details were all just fine, if not more than fine. 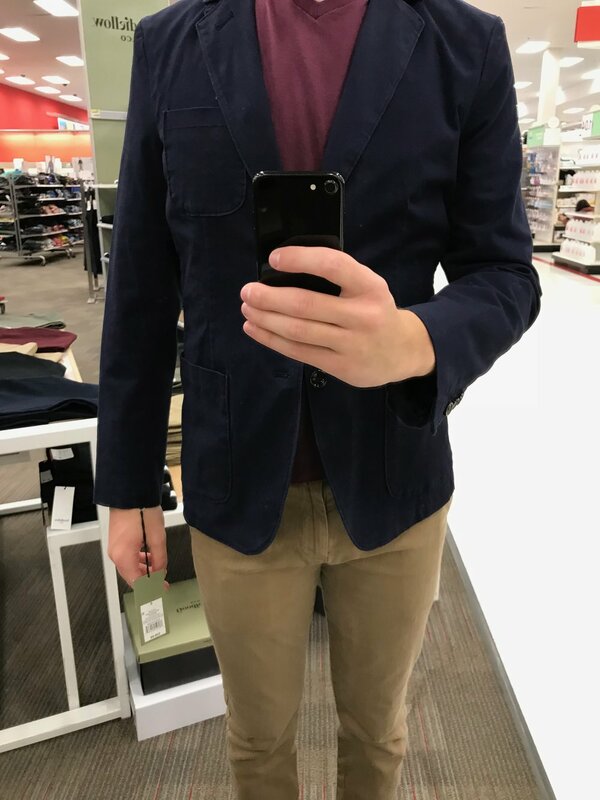 If Target can iron out some of the clear fit problems they are having, just about everything reviewed here would move into the “Good” category, and I would have bought a whole lot more. (While, certainly, their line of clothing cannot accommodate all body-types, it needs to at least be consistent with itself — some shirts cannot be super tight while others are baggy.) Thus, with the affordable-but-by-no-means-cheap pricing, as it stands now, many of these items are just not so worth it. But some positivity here, because Target really did do a great job here: Overall, quality and fit have improved drastically from what we have come to expect from Target over the last few years. With the launch of Goodfellow & Co., Target has just become a real player in the menswear space. There is still work to be done on Target's part — and I hope they continue to improve — but this is a major step in the right direction, and a real foundation upon which to build. And there are surely many deals to be had, though what, exactly, you'll end up buying will depend on your luck as to what happens to fit your body type. But something will work out. There's enough good here for me to say that with confidence.